Black Friday & Cyber Monday 2016: Beauty Deals You Won't Want To Miss! It's that time of the year again! When sales, deals, and steals are just too good to be missed even if it means the possibly of getting stuck in a flash mob like cluster-of-peeps. Of course, for those of us who are too lazy to go wait in line at 12 am in the morning (or earlier, cause every year it get's earlier and earlier), there's always the option of shopping online in the comfort of our warm and cozy homes. Where the only thing you might have to worry about is your favorite site crashing down because the deals are just too good and everyone & their moms wants them. 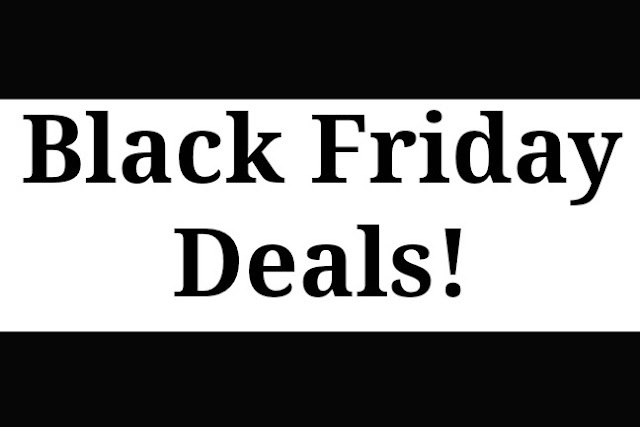 Like last year, we have round up of this year's Black Friday and Cyber Monday deals. We will update this list as new deals comes out. So grab your coffee/teas, prepare your wallets and let the madness begin! Bisou Beauty Bar: 20% off all orders with code bisou20, 25% off all orders over $100 with code bisou25, 30% off all orders over $250 with code bisou30. Starts 11/22/2016. Free shipping on orders over $65 (Canada) and $75 (USA). Botanical Farm: 30% off all products. Starts 11/25 and ends 11/28/2016. Free US shipping on orders over $50, plus free samples with every order. Etude House: 40% off all products with code 2016BLACKFRIDAY. Starts 11/22/2016 and ends 11/28/2016. Special offers features Christmas edition products, Half&Half Moistfull Collagen cream, 20% off hand creams, special deals on the Personal Color Palette line, and more. Free shipping on orders over $60 USD. Jolse: 25% off Almost all brands. Starts 11/18/2016 and ends 11/27/2016. Free shipping on orders over $40. Freebies with orders over $20 or more. Melody Cosme: Sales are split into 3 categories of 20% off, 30% off and 40% off. Sale ends 11/28 at 11:59pm PST. Free shipping on orders over $50 and complimentary samples for all orders. Memebox: Vault Boxes, Value Sets, Doorbusters, limited edition merchandise, deal launches, and special surprise on Cyber Monday. Use code BBF10 for 10% off. Vault Boxes, there will be 4 types available. Each box will include at least 16 products with steep discounts applied. The boxes available are: Pony Effect Vault Box ($120, retails for $239), SKINvinvible Vault Box ($150, retails for $298 and will include 16 skincare products from various brands), K-Beauty Krazies Vault Box ($150, retails for $329 and will include 16 skincare products from various brands), and #Sheetfaced Vault Box ($80, retails for $203 and will includes 100 of Memebox's most popular sheet masks). There will be 10 types of value sets available. The sets will be launched in pairs or trios and will be available from Thursday until Sunday until sold out. Doorbusters will run for 5 days (11/24 - 11/28) with a new batch of products released each day. These deals will be launching on 11/24 at 1pm PST and each new value set/ doorbusters will be launched on 11/25, 11/26, 11/27, and 11/28 at 9am PST. Free US shipping on orders over $35. Missha US: 40% off all products. New members can get a free M Magic cushion in shade #27 with your first purchase of $40+. All orders over $60 will receive a free mini Misa Cho Gong Jin set. Peach and Lily: 30% off entire site and 70% off all Mizon products with code GIVETHANKS30. Starts 11/23/2016 and ends 11/28. Skin18: 50% off all products on 11/25. 30% off all wash-off masks with code BLKFRIMASK30OFF and free gifts with every purchase. Free shipping on orders over $40 for countries: US, Hong Kong, South Korea, Singapore, and Vietnam. Free shipping on orders over $60 for everywhere else. Sokoglam: 40% off all Missha products with code MISSHASQUAD. 30% off entire site with code BF2016 (does not include Sokoglam sets or the Little Book of Skincare). TesterKorea: Up to 55% off products on the Black Friday Sale page. Wishtrend: Buy 1 get 1 free Klairs Mochi BB cushion, Skinmiso Spot Repairing Serum, and more. Black Friday Special Wish Box, and up to 80% off select products. Cyber Monday sales are up on the site now and will extend to the end of November. 2016BLACK159: Free expedited/ EMS shipping and 15% off orders over $159 USD, plus Klairs Sample trio (x 3), Skinmiso Handy Cleansing Kit (full size x2), and Special sample kit. 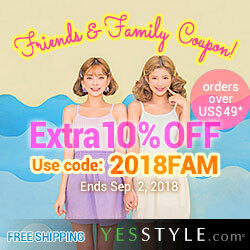 Yesstyle: Up to 80% off on products on this page and an additional 15% off all orders over $49 US with code 2016CYBER. Daily free gifts available as well, don't forget to check Yesstyle's Instagram for the unique code. Free standard shipping on orders over $35 USD, and free express shipping on orders over $99 USD. Starts 11/21/2016 and ends 12/04/2016. Whew, that's the end of our list. There's plenty of beauty sales, deals, and steals here for everyone to throw their money at. Keep watch of this page because new deals will be added as it gets closer to Black Friday. Disclaimer: This post contains some affiliate and referral links, for more information check out the full disclaimer.